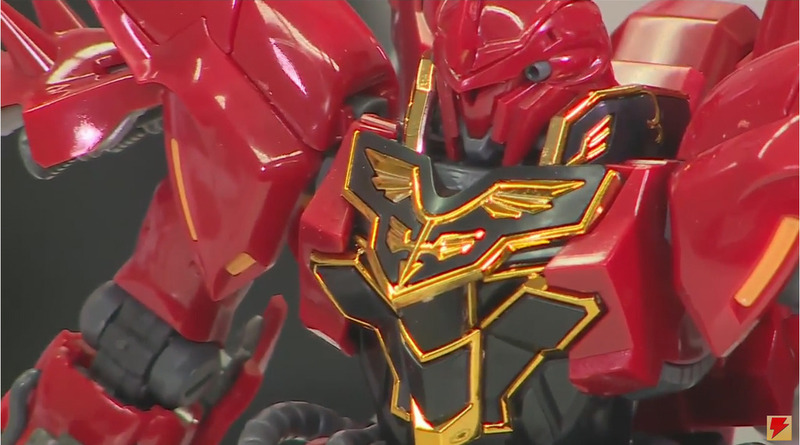 Thanks to GunJap, we now have close up images of the most surprising thing to come out of the Bandai booth of this years Shizuoka Hobby Show! 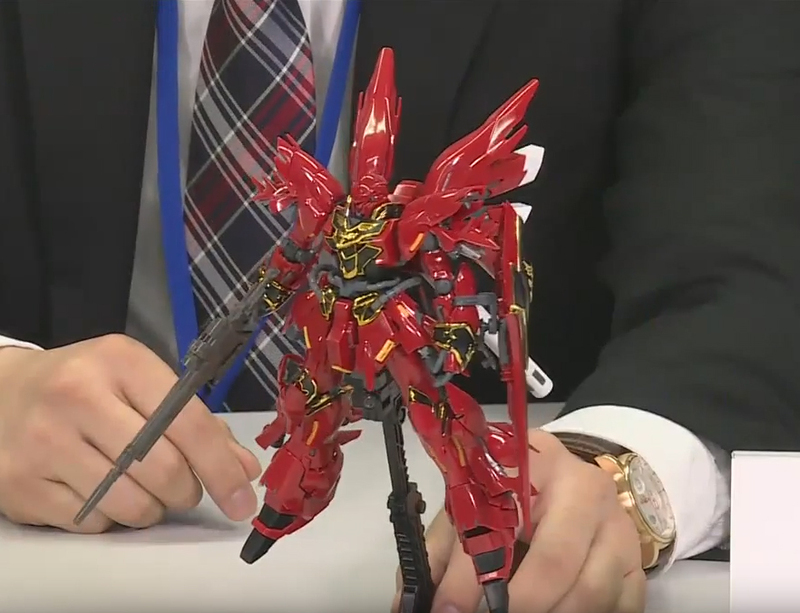 The RG Sinanju!! 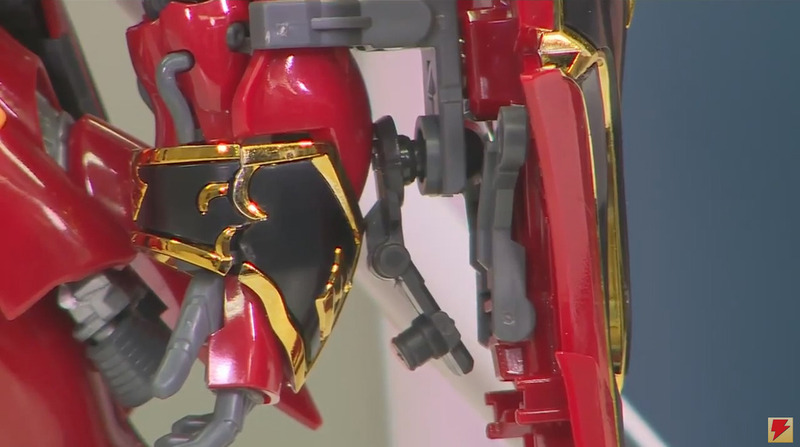 There are some really nice looking close up shots, showing off the detail of the kit it and how the gold pieces will be handled. 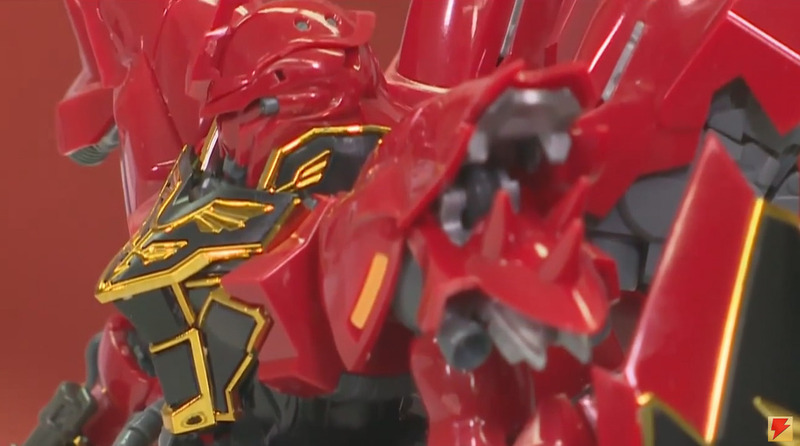 You can see there are black plastic pieces that we will put over the RG Sinanju’s gold plated armor pieces to give it form of separation. The kit shown is unpainted and does not have any decals or water slides applied and it still looks stunning. This kit is going to run around ¥4100, or around $37. HLJ will typically have it cheaper but feel free to get it where ever you usually get your kits!! I know I am going to definitely make this guy look almost as amazing as my MG Titanium Sinanju. I will not be able to replicate that amazing finish but will definitely be doing a full matte coat to make sure the gold really stands out. Also remember ALL of the gold plated parts are under gated so you will not have the issue of gate marks of that shiny finish. What do you guys think of the images? 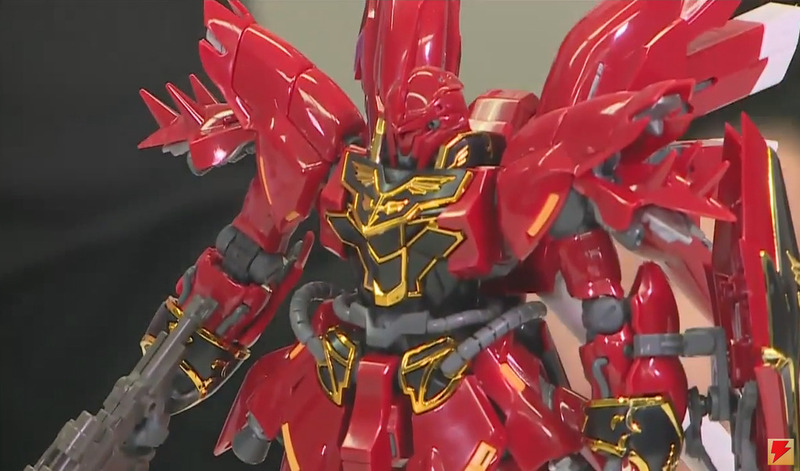 Will you be picking up the RG Sinanju day one, or will you be waiting for the reviews? I should have a review of this guy a few days after he releases in August so come back and check it out! 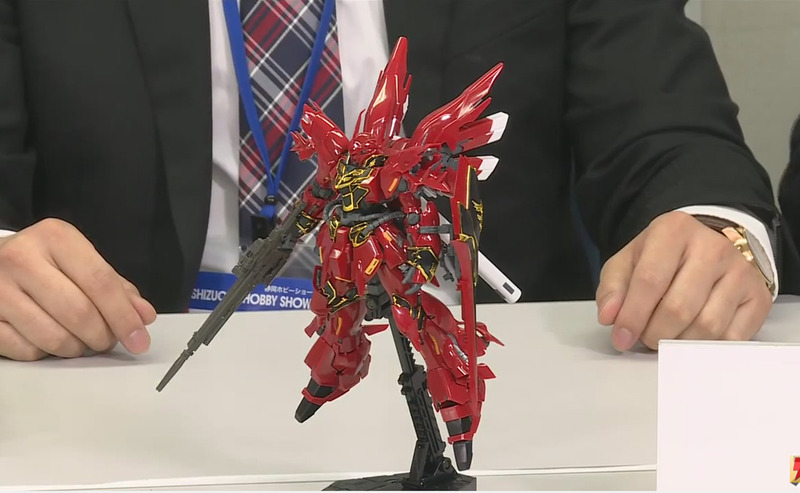 Next story Real Grade Sinanju Box Art & Release Date! !